Atwood Magazine’s writers discuss the many colors of Kesha’s third album Rainbow, including its significance, symbolism, and sound. Why did you decide to listen to Kesha’s album? Are you a fan or was it based on the past year’s legal hype? Kelly: I was a fan of Kesha way back when, in the days of “Tik Tok” and “We R Who We R.” She’s always been great for those songs that instantly invoke confidence. That being said, that was a while ago, and since, my music taste has changed dramatically. In listening to this release, I was drawn to the angle she would promote after the sexual harassment she went through. I wanted to support her right to artistry, and was hoping to be pleasantly surprised with some nostalgic Kesha sounds. Nicole: I’ve always been a huge fan of Kesha; she was one of my favorite artists when I was younger. I’ve obviously been interested on and heartbroken by her ongoing legal problems. That all being said, I don’t know if I would have actively listened to her new stuff had the legal battle not been brought to the public eye, I was excited to hear her “genuine” songs, which showed us who she truly is not who she was told to be, and full disclosure I was very curious to see how she would portray her struggles in song. I loved her then, now I want to support her and make sure she’s heard as an artist. Mariel: I’ve never been a fan of Top 40 music, as anyone who knows me can attest to. But in high school, when I guiltily danced along to “Timber” and “Blow” at Homecoming dances, I defended myself by saying, “Ke$ha’s trashy and she knows it; she doesn’t try to be anything that she isn’t.” I still find this to be true – she’s unapologetic in everything she does, and there’s something that I really admire about that. This is especially highlighted in “Let ‘Em Talk.” However, I was also so genuinely curious about what this album would sound like. The legal battle was horrific to watch unfold (still not over that photo of her crying in the courtroom), and the possibility that she still technically isn’t out from Dr. Luke’s thumb angers me to no end. There’s no way to go through an ordeal like that and come out unchanged, and I was dying to know how the experience would affect her sound and writing. James: Had this not been a major comeback and legal dispute of an album, I probably would’ve taken my time in listening. I’d been a casual fan of Kesha’s earlier work, and I still love tracks like “Party at a Rich Dude’s House” and “Die Young.” That being said, the first singles were attention-grabbing enough, that I also didn’t want to hesitate on a solely musical front. Baylee: I’ve always been a fan of Kesha. Her boldness as an artists attracted me when I was younger and I definitely wanted to hear how this last year changed her music and songwriting. After a long four year wait, Rainbow did not disappoint. How do you think the album compares to Kesha’s old tracks? Do you still see her as a party girl? A mature adult? Kelly: I don’t know how much the rest of the Atwood staff will agree, but I think Kesha’s sound now is a bit country. She’s got a new twang to her vocals in the softer moments, while in the pop anthems, she sounds just like the Kesha I loved throughout my high school years. I think Kesha has grown up, but she’s still got that Rated-R edge. Her vocabulary embraces her inability to be tamed, but some of the songs, see “Praying,” have more serious messages. Mariel: Kesha has matured, but of course she’s still that party girl. Tracks like “Woman” or “Boots” wouldn’t exist if that girl wasn’t still in there. Years ago, when the internet went crazy over the rumor that Kesha scored a perfect SAT and that she’d always been “hiding” how good her voice truly was, I still had the mindset of her being just another pop star who had some catchy songs. To be honest, I didn’t know she wrote her own music until recently. This album has proved to me that Kesha is an artist. Though she sometimes falls back on a laziness in her lyrics or chord progressions (and who’s to say that’s not the fault of her producers or co-writers? ), there are moments on this album that are truly unique and interesting. Upon first listen, I felt that it jumped around too much stylistically, but on the second, I realized it functions almost like a split LP. The first half contains the remnants of her party days and the aftermath of the trial, leaning on pop hooks and stereotypical melodies. The second half takes her back to her Nashville roots, but not in the way that Miley Cyrus is failing to do (sorry, Miley, I still love you). 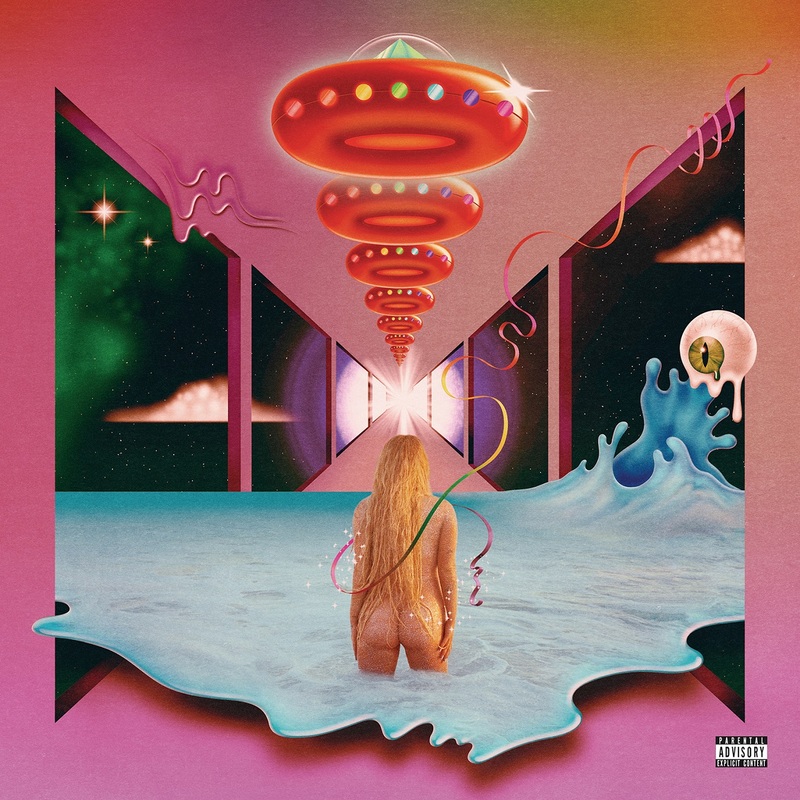 I think this was an incredibly smart move on her part – it shows her range as a writer and musician, and makes the album a little more accessible to those who may have held preconceived notions of what a Kesha album would sound like. James: I expected this album to go one of two ways: this would be a return to Kesha’s older party-girl sound or a mature record that went through the abuse she received, the court proceedings, and her eventual comeback. The record fell somewhere in the middle. Songs like “Woman” and “Let ‘Em Talk” are incredibly fun songs reminiscent of Warrior, and “Bastards,” “Rainbows,” and other tracks show a more stripped down, introspective Kesha. It’s actually really wonderful to see Kesha rise up now in the more upbeat songs, and even the softer songs sound triumphant and uplifting. Songs like “Learn to Let Go” meet somewhere in the middle. It’s a hyper-personal song lyrically, and the message is positive; nonetheless, the beat is really incredibly fun, with little touches of banjo, perhaps making this the most demonstrative track for the rest of the album. Kesha still knows how to have fun, but she’s definitely more grown-up about it. Baylee: Rainbow exhibits a clear artistic evolution of Kesha, but I hear echoes of her carefree electro-bops throughout the album as well. We hear country influences in “Bastards,” some Johnny Cash inspiration in “Hunt You Down,” and an undeniable funkiness drives “Woman.” In the upbeat tracks, her voice exudes the same Kesha confidence and fervor we all know and love, but she gifts us with a few elegant songwriter tracks as well. She’s direct, bold, and lays everything on the table similar to the veins of Animal and Cannibal, but with a new variety of musical melodies to support her stories. Honestly, I believe Kesha was always mature and lyrically made music that spoke to many people. The industry essentially cemented her in the party banger sound she broke out with. What are your favorite songs on Rainbow and why? Kelly: “Let ‘Em Talk” is by far my favorite. It’s a pop JAM and I want every radio station to play it forever. I don’t remember the last time I heard a song that catchy. Nicole: “Praying,” “Woman,” and probably “Let ‘Em Talk.” “Praying” is a fantastic song, gave me chills from the first listen, and it expresses Kesha’s struggle in such a beautiful way. I’m glad this was the album’s first single, I think it’s truly beautiful. I defend every song that stands up for women, so “Woman” is obviously an anthem for me. I like the way it sounds, I like the strong lyrics, and I love the message. Mariel: Listening to the album with this question in mind, I was having a hard time because I kept adding a new one to the roster as I went. “Woman” was the first favorite, partially because this was genuinely one of the first female power anthems that didn’t make me roll my eyes, and mostly because she plays with the Dap-Kings – I don’t have words for that, other than “wow.” Other favorites would have to be “Finding You,” “Hunt You Down,” “Boots,” and “Spaceship.” And also the one she does with Dolly Parton, where her voice simply soars – and those harmonies! My favorite song is essentially half the album. I loved these songs even more after reading NPR‘s profile on her explaining the album track-by-track. “Finding You” is such a departure from what I would ever expect from her, and I appreciate the odd melodies and chord progressions. “Hunt You Down” and “Boots” are just so catchy, and I love that she drew such inspiration from outlaw country. And “Boots” sounds just enough like party-girl Kesha. “Spaceship” is a beautiful and odd end to the album. It contains an out-of-tune banjo, echoing background vocals, and some nice sci-fi noises, which is pretty much everything that I love. I think what I love most about the song is that it doesn’t rely on the overly clean and robotic production levels that everyone has come to expect, and even demand, from a pop artist. We hear the imperfections in Kesha’s voice, and it feels like there’s a soul to the song. It’s not pitch perfect. James: “Woman” is so undeniably fun that it’s hard to resist, as is a similar case with The Eagles of Death Metal-featuring “Let ‘Em Talk,” but “Bastards” is an easy favorite, based on Kesha’s emotional delivery and the reserved nature of the song. It shows off a side of Kesha that hasn’t been at the forefront of her previous work, and it is an ambitious choice for an opening song. Baylee: I had a challenging time narrowing it down considering the sheer amount of standout tracks on this album, but I’d say “Hymn” and “Woman.” “Hymn” discusses relevant societal topics in new space; it reminds me of Halsey’s “New Americana” because of the frankness and exuding pride of the millennial generation. She croons about the rebels, the reckless, and how people can be “perfect, even though we’re fucked up.” It’s a poetic tale about the struggles and beauty of growing and maneuvering yourself through our twisted and tangled world. In regards to “Woman,” I can always appreciate a powerful, loud anthem describing badass women. She also featured The Dap-Kings Horns which adds a funk element that increases the dance-ability and irresistible hook of the track ten-fold. What is your least favorite song on Rainbow? Do you have any criticism? Nicole: It’s a tie between “Hunt You Down” and “Bastards.” I think “Bastards” starts the album off so slowly it sounds like a closer rather than an opener, and though I appreciate the message the lyrics come from the heart but could be worked upon a little more. And I am unable to like “Hunt You Down” because it’s very country-leaning and I cannot bring myself to like country music in any capacity except for Gram Parsons’ “She” (I am truly very sorry, I’ve tried). “Boogie Feet” is also a bit all over the place sonically but I love guitar parts so I can’t dislike it too much. Mariel: My least favorite song is “Learn to Let Go.” It was the only one I skipped halfway through. I know that this song will be the radio hit, and I don’t like it, which says a lot about my taste. I think this is the only song that leans too heavily on basic pop conventions, with a basic four chord structure and certain vocal nuances that have become so popular on the airwaves. But for a pop artist of her stature to only have one song that I’m not wild about is rare, so to be honest, it’s not even really a criticism. James: There were a few songs on the back half of the album that seemed a little bit like filler on first listen, but have grown on me over the weekend. “Boogie Feet” is probably my least favorite, as it sounds sort of phoned in, although Kesha does sound like she’s having a pretty great time in her performance. It’s hard to criticize the song. Baylee: “Hunt You Down” is my least favorite song. Although I appreciate her mirroring “Walk the Line,” it feels out of place on the album. It’s an exploration for Kesha which I appreciate, but just not the sound I think fits her or that I’m looking for. How do you think Kesha ranks among other female pop stars? Based on her new release, does she excel or fall behind? Kelly: I think Kesha is genuine and truly does not care what the world thinks of her. She believes her fans need her voice, and it shows. I love that even after all she’s been through, she’s still taking the outcast point of view, not giving into the glam of Hollywood, and staying true to her roots while also staying current. I think she’s going to keep her throne of the weirdos that need a voice, compared to the pop-superstars that seem perfect all the time. Nicole: I think the fact she’s managed to release something and has been so open about all her struggles makes her excel right off the bat. There are other pop stars whose sound I like more (Dua Lipa, Tove Lo, Billie Eilish, to name a few) but I think Kesha as a figure, a star, a voice, has become an important player on the music industry field. That being said, I think she’s still trying to find her true sound (the album was a collage of sounds more than it was cohesive) and a way to show her authentic voice in music, but this release was a success in and of itself just because of all it represents. Mariel: This album not only puts Kesha back in the spotlight; but also, it ranks her highly. The conversation around sexual assault hasn’t been the kindest recently (read: ever), and songs like “Praying” have already proven to be so important for survivors everywhere. Since Lemonade dropped a bomb on everybody’s eardrums, re-introducing other musical genres back into the pop world, there’s been a surge of artists trying to be “edgy” or “unique.” Of course, nobody else can or will ever measure up to Beyonce, but what Kesha’s trying to do on this album feels genuine to me, and I honestly couldn’t be happier for her. James: Rainbow is probably Kesha’s best release yet, and with its eclectic mix of upbeat tracks and super-emotional songs this is almost like Kesha’s Lemonade. Kesha is a very unique voice in the modern pop-music sphere, which makes her a personal favorite. She does a wonderful job of changing genres and incorporating a number of styles into an album that flows naturally. That being said, her music seems like it may be too unique for her to fit in with other pop-giants like Beyoncé, Rihanna, or Taylor Swift. While I do truly hope for Kesha to be a major force in the music world again, it seems like she may fall just short of the stadium-sized fame of some of her peers. Baylee: She’s near the top for me. I mentioned her parallel to Halsey with their manic followings and I believe she stepped up her lyrical game this album to be on target with Lorde. Furthermore, I think Kesha always had this music inside her. If you listen to “Crazy Beautiful Life” or “We R Who We R,” she attempted to send messages even through her party bangers. Now that she is able to break through and explore other genres, I think her power is ready to be unleashed.